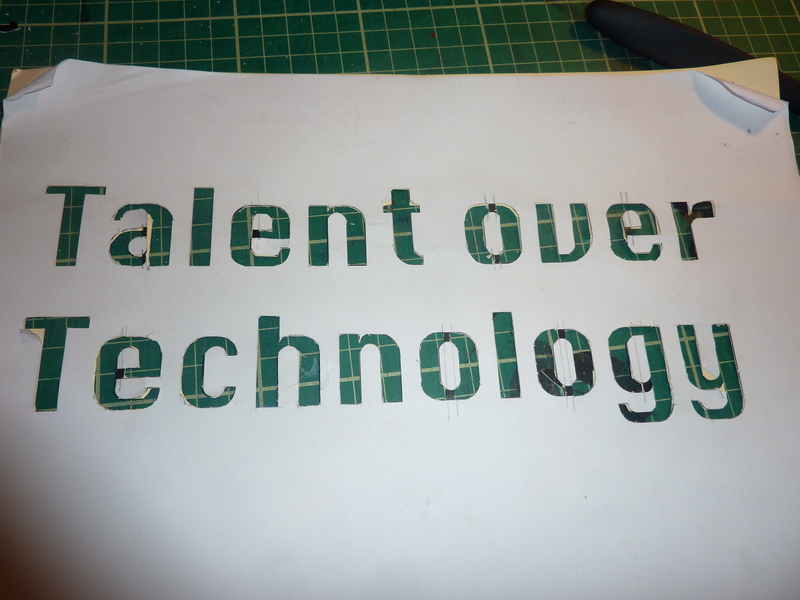 I designed and cut out a stencil to use as a slogan for my work which creates a bit of controversy within my project. by looking at todays designers in the way that because they have technology they don’t need the talent of yesterdays designers. it could be pushed in the direction of showing programs vs designers. 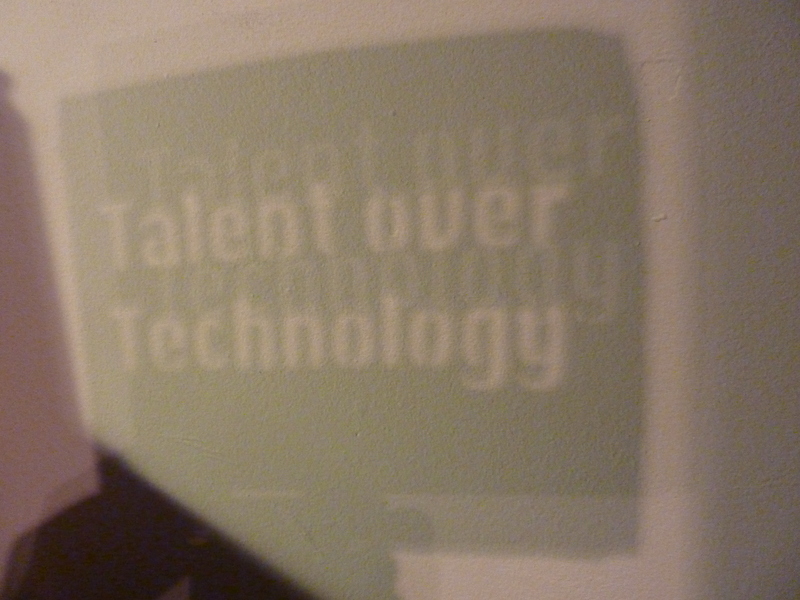 I can also used the stencil to project the image onto a wall using strong lighting. I feel that this could create shadow tekkers which can be possibly be put into my proposal book. i must admit im shocked I didn’t leave with a finger or two cut from my hand. 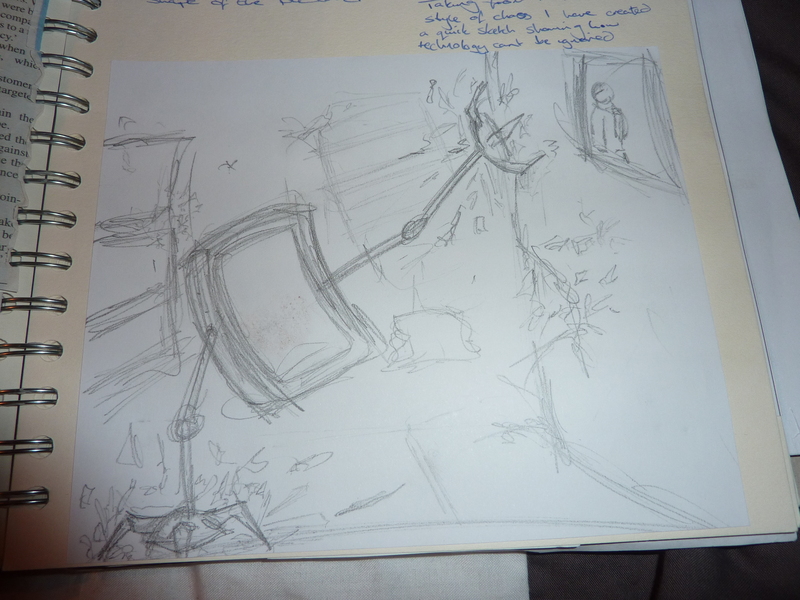 maybe next time I also started to visually develop some basic idea’s. this one in particular shows a mobile phone seeking the attention of its owner who has his backed turned by destroying the area from our perspective. this will be a way to communicate the idea that our phones cannot be ignored in this day and age. at this time it is still just a basic idea that needs to be fleshed out but could be a good starting point for developing ideas. it could branch out into the hold that technology has over us or could change perspective to be that a mobile phone just wants to be loved. I have been working hard to create my book. At this present time i have chosen a size that I think will be appropriate and have created the template grid on Adobe Indesign. im not a fan of quark. I will hopefully update my blog tomorrow with some screenshots so you can see the development as it happens. its fun to share my greatness with others!